This is perhaps the biggest cliché of them all, but I will say it anyway: my trip to Thailand totally changed my life. Back in 2010, my best friend Jaclyn and I stuffed our oversize backpacks with too many clothes, too many shoes and too many travel books before jetting off to our dream destination: Thailand. 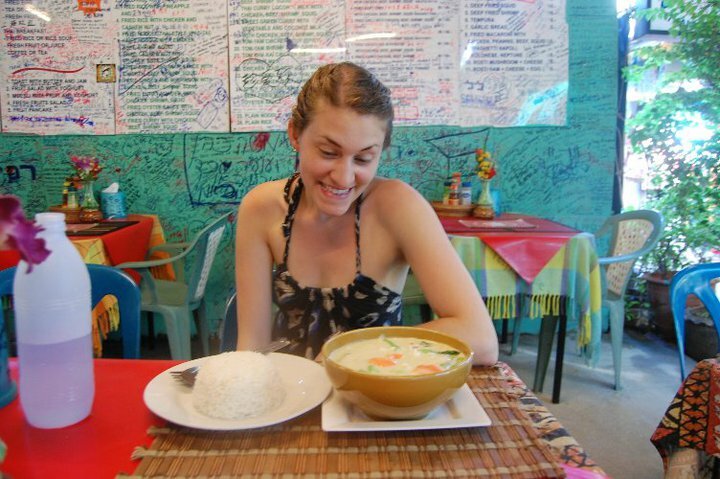 For no reason other than a deep-seated love of Thai food, I always wanted to go to Thailand. I knew little of the dreamy southern beaches, the ancient temple ruins or the abundant food markets when I came to this conclusion, but for whatever serendipitous reason, Thailand drew me in. In the lead-up to our trip, the ordinarily peaceful Buddhist nation was experiencing political unrest. In Bangkok, the so-called “Red Shirt” protesters were holding increasingly violent rallies against the government. We weren’t deterred by the protests or the curfews, but when the Canadian government’s travel ban rendered us uninsured, we conceded, tacking an extra flight to Bali onto our existing tickets. Despite a blissful, culture-shocked week exploring the small Indonesian island, when we learned the travel ban to Thailand had been lifted, we were overjoyed. Feeling like we were already a week late into our Thai adventure, we were on a Thai Air flight en route to Bangkok before you could say sawadee ka. I had no way of knowing that shifting our travel plans would lead to the biggest chance encounter of my life. The author at a restaurant on Koh Phi Phi, popular among Israeli backpackers. After a day spent in tuk-tuks and temples and a night spent trying desperately to sleep through the incessant noise of Khao San Road, we headed down to the islands of southern Thailand. But what nobody tells you when you see an unbelievably gorgeous photo of the still turquoise water punctuated with colourful long-tail boats in front of limestone cliffs is all the waiting involved. 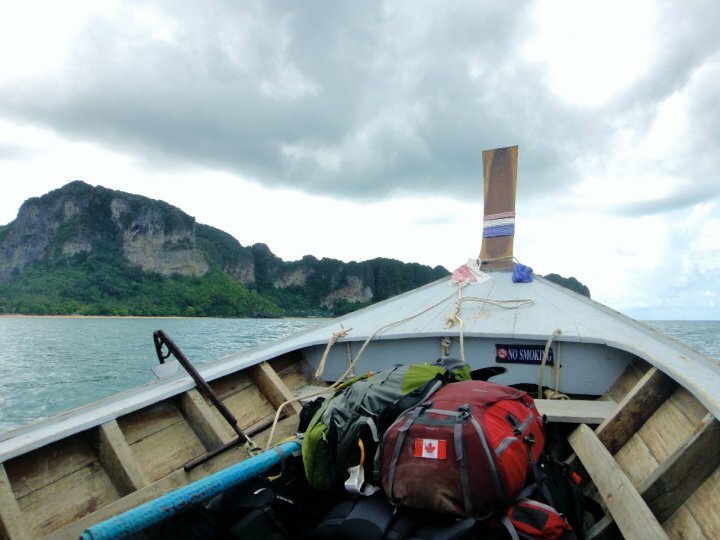 We waited for hours to board an overnight bus headed down to Railay Beach. Halfway there, at some unearthly hour, the bus stopped for a never-ending rest. Then we waited until we were sure we had been forgotten, before boarding a boat headed for Koh Phi Phi. At each rest stop there was at least one restaurant or food shop, convincing the more skeptical of travellers that the bus driver must have a stake in those roadside establishments. My memories from Koh Phi Phi are the most vivid from my whole trip. The delicious curries, the low hum of the frogs (that for too long I thought were didgeridoos), and the picture-perfect scenery became etched in my mind like a tattoo. To me, skipping Koh Phi Phi on a trip to southern Thailand is like going to Italy without eating pasta. We liked it so much that we altered our plans, changing the date on our pre-purchased boat tickets and staying an extra day. We did not have perfect weather in Koh Phi Phi: it was windy and stormy, and a main snorkeling beach was murky and opaque when I was there. Instead, we booked ourselves onto an exhilarating boat tour that took us jumping off rugged cliffs, swimming in a serene lagoon, timidly wandering on a beach filled with macaque monkeys and doing cartwheels on Maya Bay—the famed setting for the film The Beach. Cartwheels on the beach: a staple of any Thai vacation. In meeting other backpackers, you learn that some of these experiences in Thailand are rites of passage. The endless waiting; the sketchy disembarking from long-tail boats in knee-deep water with a massive pack threatening to sink you if you fall in; being swindled by your tuk-tuk driver into visiting a tailor shop; getting your sunglasses stolen by a monkey at the beach—these are common experiences among backpackers, but they are also the moments, the minute details we noticed or people we met, that make the trip one’s own. Embarrassingly, my incredible experience occurred on “the party island”: Koh Phangan. I almost chickened out of going to an infamous Koh Phangan party. We had planned on going to the infamous Full Moon party until the Red Shirt protests cancelled our earlier plans, so instead we made it to the island for the opposing black moon. Less crowded and more electronic than its big brother, Black Moon parties still put me firmly outside my comfort zone. Fearful of all the people, booze and horror stories, I tried to pull out. “I don’t know if I feel up to it,” was my classic shy-girl’s attempt at avoiding a party. But Jaclyn told me we hadn’t cut our time short on Koh Tao to sit in our hostel. Ultimately, I agreed. If there’s one word to describe a party on Koh Phangan, it’s “neon”. Everything is neon: the tourists’ clothes; the paint slathered on arms, legs and faces; and, of course, the buckets. The neon buckets, filled with Red Bull, vodka and soda—a lethal combination we drank slowly and cautiously. Before long, my fears melted away, and I realized that, like Frosh week, the party was mostly friendly smiles and introductions, exchanging travel tips and stories, becoming fast friends over the staples of southern Thailand: beaches and booze. I can’t say I remember how we started talking, but before long, Jaclyn and I were chatting to an awfully cute guy named Nick from New Zealand. After too long talking to just one person, Jaclyn shot me a look: We should probably move on now. I shot her a look back and, with a nearly imperceptible roll of her eyes, she wandered off to some of our other friends. I suppose this is where I reveal that the rest, as they say, is history. In Nick, I had met my match: we tied the knot in September 2016. Rachel and Nick: Happily ever after in New Zealand. I don’t know how often these wanderlust romances usually last, but I can assure you, sometimes they do. On paper, my life reads shockingly similar to the suburban upbringing I was adamant on escaping: own a house, work full-time, be happily married. But in the details, it’s clear that Thailand changed my life profoundly. 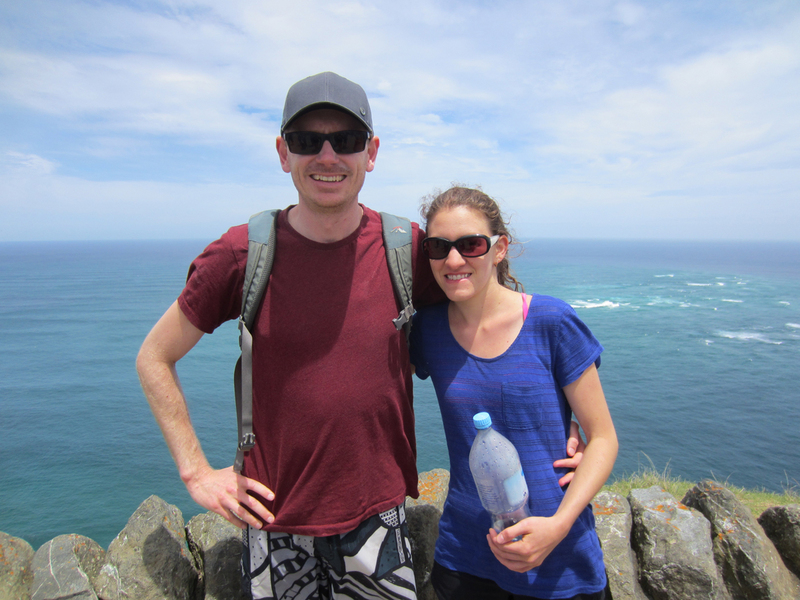 In Thailand, I met my husband; in Thailand, I discovered my love of water and sand, leading us to swap Toronto’s hustle and bustle for the small coastal city in New Zealand that we now call home. Now, from our cozy life, we look to the future and wonder what’s to come. Perhaps we’ll revisit Thailand one day. Who knows what could happen then? Hailing from Toronto, Rachel Hart—a former Outpost editorial intern—now lives in the sunny, coastal city of Tauranga, New Zealand. Feeling deeply loyal to each country, she has come to call herself a “Maple Kiwi.” A lover of both food and words, she splits her time between freelance writing and running her healthy lunch delivery business, Heart and Stove.